Using the latest trunk on DIR-600 rev B2 with netif, Luci doesn't display interface info as you can see in the screenshot attached. 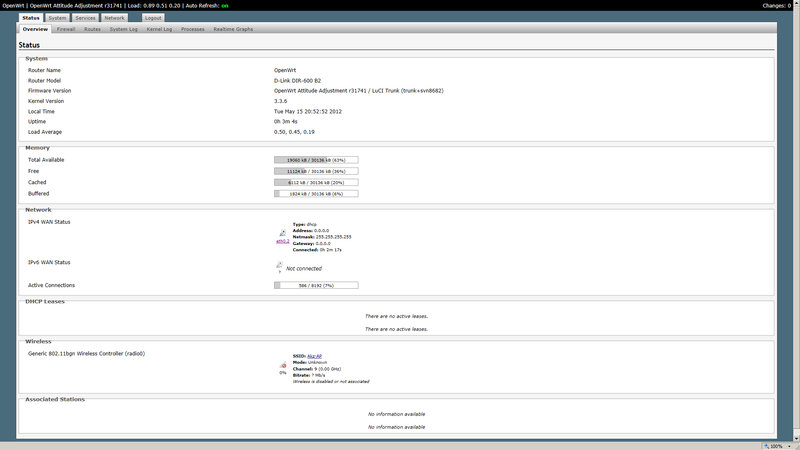 Via ssh the interface displays its ip address from the dhcp server on wan. screenshot.png​ (69.7 KB) - added by anonymous 6 years ago. Known issue, will take a while to fix.